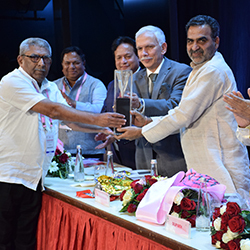 On 26th November 2018, Indian Dairy Association celebrated National Milk Day on the 97th Anniversary of the Milkman of India and Father of the White Revolution – Padma Vibhushan Dr. Verghese Kurien. 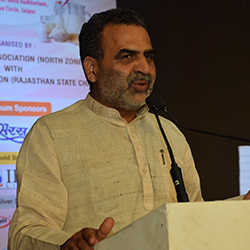 Eminent personalities of the Indian dairy sector : Prof. R.N. 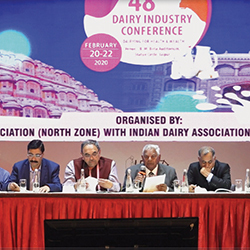 Kohli, Editor, NAVS(I); Dr. Kiran Singh, former DDG (AS), ICAR; Dr. Omveer Singh, MD, NDDB Dairy Services; Mr. A.K. 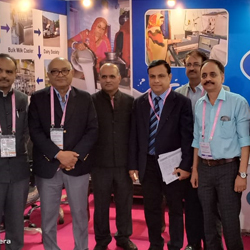 Khosla, Vice President-IDA; Dr. J.V. 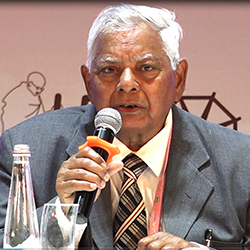 Parekh, CEC Member, IDA; Dr. Harsev Singh, former COO, Reliance Dairy; Dr. R.M. Joshi, Prof. and Chairpeson Research, Indian Institute of Foreign Trade; Mr. S.S. Mann, Chairman, IDA(NZ); Mr. I.K. Narang, ZEC Member, IDA(NZ); Mr. Sanjeev Sinha, Treasurer, IDA Bihar State Chapter; Dr. Shyam Bhaksar, Member Haryana Kisan Ayog; Dr. B.S. Beniwal, former GM, DMS, Mr. Sohrab, Chief Executive, Quality Care Services Pvt. Ltd; Mr. V.K. Tewari, Mr. S.K. 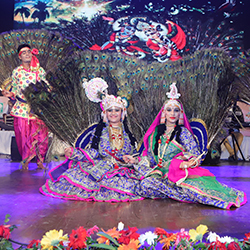 Jain were present during the event. 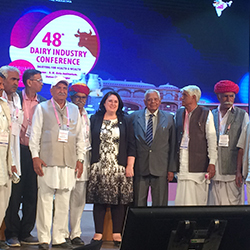 Event started with 8-9 minutes documentary video on the contribution of Dr. Kurien to the dairy sector. Dr. G.S. Rajorhia, President-IDA Chaired the event. Further details would be published in January 2019 issue of Indian Dairyman.